When it comes to clean, affordable personal transport to take you – and perhaps a passenger too – around town, or even on a short trip to the country, the latest generation of electric scooters are really hard to beat. Plug one in to a normal electric socket and in a few hours, you’re ready to go, with 20-30 miles before the next charge – and all for a few pence! Electric scooters come in a range of colours, models and sizes, from small ones, with motors around 200 watts powered by 36 volt lead acid batteries and with a price tag of under £500, to top-of-the range 1500-watt versions with 48 volt silicon gel batteries, costing twice as much. The smaller kinds – which can travel at up to 15mph – can be used on the road by anyone over the age of 14 without a licence, while larger scooter models can travel twice as fast, but come under the same legal regulations as mopeds. For the eco traveller, one of the most obvious appeals is the fact that they don’t burn fossil fuels and there are no emissions to worry about as you zip around the city streets. However, the fact that they’re electric doesn’t entirely remove the issue of pollution from the equation, given that so much of our electricity itself originally comes from carbon-based fuels. According to the fuel mix information which the energy regulator, Offgem, requires all UK electricity companies to supply, on average more than 70 per cent of Britain’s power is generated from either coal or gas. Plugging your scooter into the mains doesn’t get round the emissions from power stations themselves – but you can, of course, side-step the whole thing and opt for a green energy supply (if you haven’t already). Do that, and your carbon conscience is clear! There is plenty to appeal to the cost-conscious traveller too. Depending on the type of electric scooter you choose, you can get your transport costs down to as little as 0.2p a mile according to the manufacturer’s figures – and even the most expensive to run only cost around 2p a mile, so getting about town is hardly going to break the bank. Added to this, although the larger scooters do need to display a tax disc, because they’re all-electric under the current rules, you’ll get it for free. The UK Driver and Vehicle Licensing Agency (DVLA) classifies these electric scooters as either “bicycles” or “mopeds” depending on their power and the legal requirements for each type obviously varies. For the smaller models, there is no road tax, no need for your scooter to be registered with the DVLA, and you don’t have to have a licence to ride one. 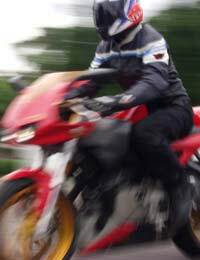 Although they are not required by law, insurance and a good helmet remain sensible precautions to take before venturing out onto the streets. Larger scooters, however, must be properly registered before they can be legally ridden on public roads, and you’ll also need appropriate insurance and a proper motorcycle helmet as well. If you passed a full driving test before February 2001, then you’re good to go already, but if you took your test after this date, you’ll also need to take a compulsory bike training (CBT) course. For anyone who is new to the whole thing, these scooters can be ridden with L-plates if you have a provisional moped licence and CBT. Whether you’re looking to reduce your carbon footprint, slash your travel costs – or a bit of both – electric scooters have got to be worth considering and best of all, there’s a model to suit everyone.